One of China's most popular video games is testing the use of facial recognition to check users' ages. Honour of Kings' publisher Tencent announced the move at the weekend. It said the trial would initially be limited to "thousands" of new players based in Beijing and Shenzhen. Tencent highlighted that many users had previously voiced concerns about the idea of it using facial ID checks in games and said it would evaluate the results of the real-world trial "in depth". 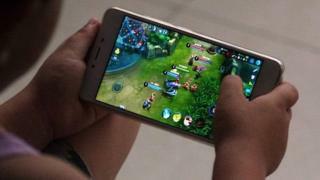 "This test is an extension of Tencent's existing Youth Guardian platform, which allows parents to monitor gameplay time and uses facial recognition, but this goes a step further by comparing user images with government photo records," said Piers Harding-Rolls, from the IHS consultancy. "It is inevitable that this sort of technology will hold some limitations especially for younger children that go through a lot of facial changes as they grow. "However, facial recognition technology is improving all the time."